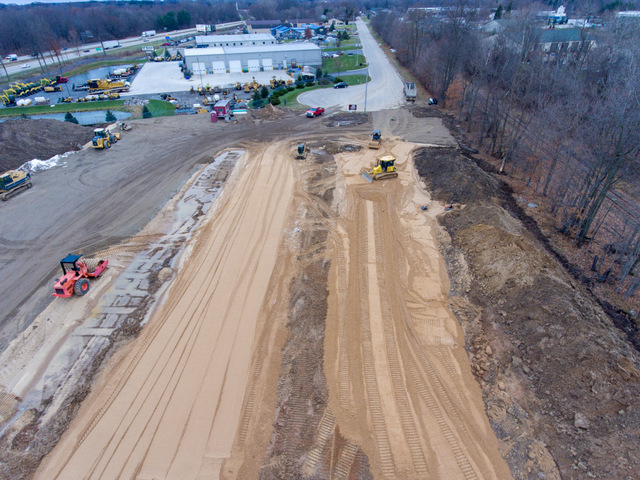 McCann Industries has begun construction of their new location in Marne, Michigan. The new, state-of-the-art facility will include seven service bays to assure a quick turnaround for maintenance and repair of any make or model of equipment. The complete CASE Construction Equipment line will be available, and a wide selection of rental machines will be available for short- or long-term needs. The current location at 3260 142nd Ave. in Dorr will continue to operate until the new facility is complete in mid-2019. McCann Industries Inc. has been selling contractor supplies since 1967. The company added heavy equipment to their offerings in 1994 and now provides products from more than 400 suppliers and manufacturers with nine locations throughout Illinois, Indiana, and Michigan. Equipment manufacturers represented by McCann Industries include: CASE, Takeuchi, Wacker Neuson, Sullair, Husqvarna, Towmaster and the finest brands available for contractor supplies. For more information, visit their website at www.McCannOnline.com.